The Reading Workshop helps children become avid readers, strong communicators, and creative thinkers. 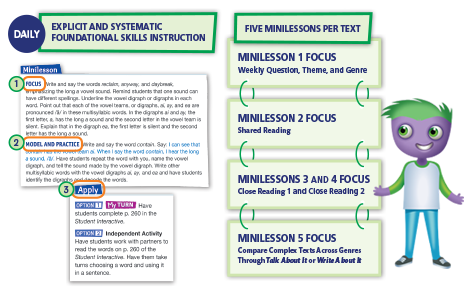 Whole class minilessons help teachers focus on an explicit reading strategy, provide models and practice, and apply students‘ understanding to deepen learning. An emphasis on small group time allows teachers to give students personalized attention and deliver instruction in strategy groups. The planning is done for you. 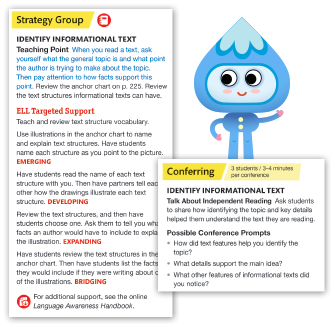 Teachers can follow the carefully prepared lesson-by-lesson plan and select from a range of flexible options to address the standards and meet district curriculum guides. 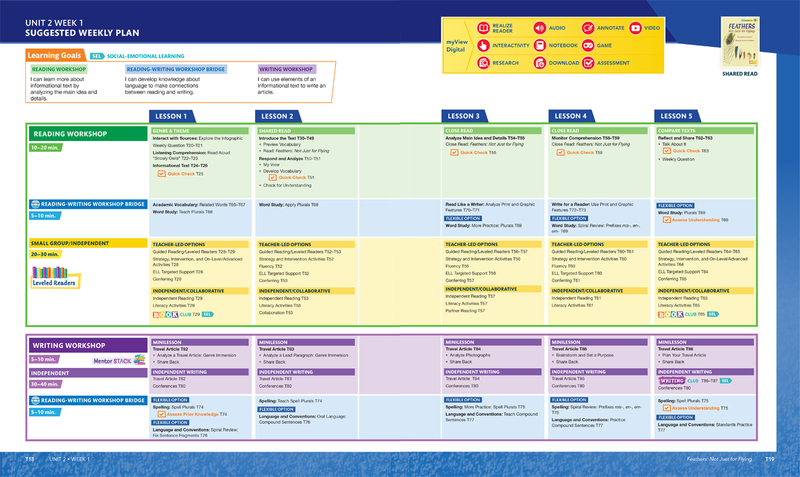 Use the suggested plan or plan by resources to meet your district curriculum guides. 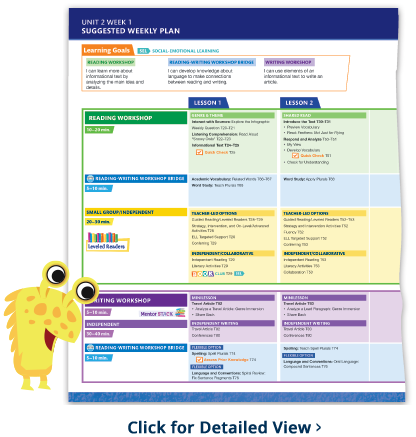 The online Weekly Planner links to all your resources. 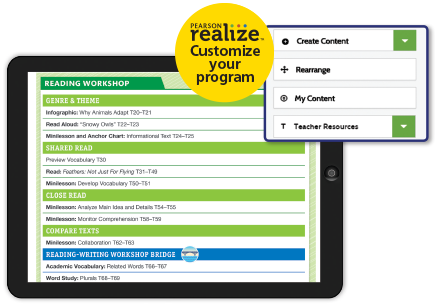 Customize your lessons, create new content, or upload your own resources online. A wealth of tools and resources make small group time run smoothly and effectively. Teachers have time for guided reading instruction and for individual student conferences. 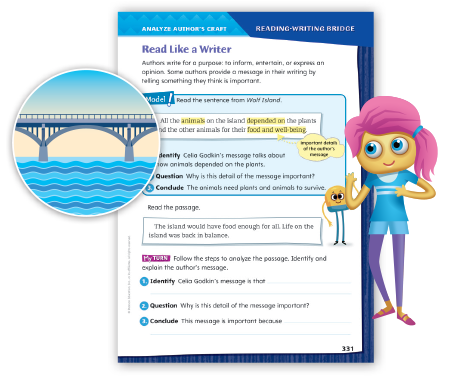 The Reading-Writing Bridge makes this connection real and impactful. Instructional support encourages children to reread every text to analyze writer’s craft and structure.